The Renegade Pharmacist joins us for a fascinating conversation about personal health, self-empowerment, healing the self through breath, meditation, yoga and dance. His SOMA Breath program is a powerful process of healing from the inside out. BELIEVE ME...watch the testimonials on the site. Niraj was a stressed out pharmacist for a major corporation in the UK which lead him to bed rest and pooping blood 40 times a day before he realized he had to make a massive shift in his life. The diagnosis and subsequent pharmaceuticals he was taking for his colitis proved ineffective in treating him. His health and mental well-being got so bad that he began to have suicidal thoughts. It was the principles of breath and movement, plus colostrum and Aryuvedic eating approaches that healed him and lead him on a journey to help others. 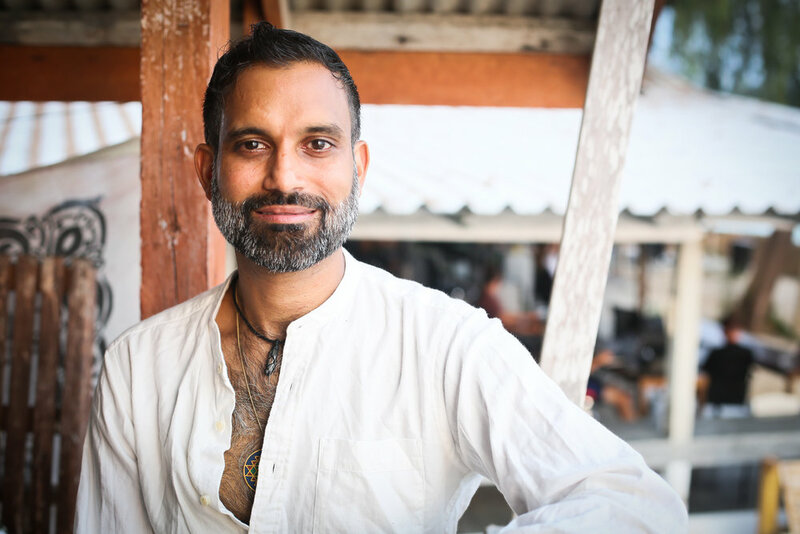 NOW - Niraj produces music festivals, works with Wim Hof, hosts healing retreats and advocates for healing from within. COLOSTRUM: Get your hands on the gut healing, vitality boosting colostrum that helped Niraj literally turn his health around. Head to Soma Breath and use SOMA20 for 20% off breath work protocols, classes and more. And much more! Pull up Notes on your phone and follow along this fascinating and jam-packed episode!